Italy in summertime! 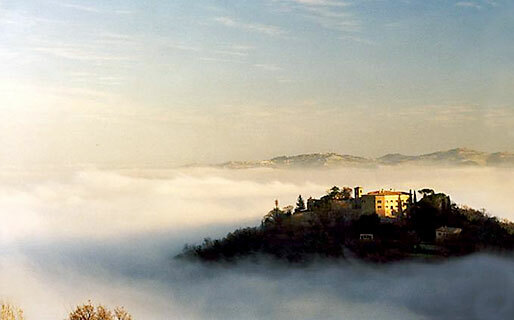 High above Rimini on the Adriatic coast, the hills are alive with the sound of perfume vials clinking, fragrance essences being blended in beakers, and the teachings of AbdesSalaam Attar (Dominique Dubrana) of La Via del Profumo. That is the essence of a press release that I thought I would share with you, as it’s a great opportunity to learn from one of the masters of natural perfumery. Plus, did I mention Italy in summertime? That is what you can experience, if you take his mini perfume course over a six-day period this June. 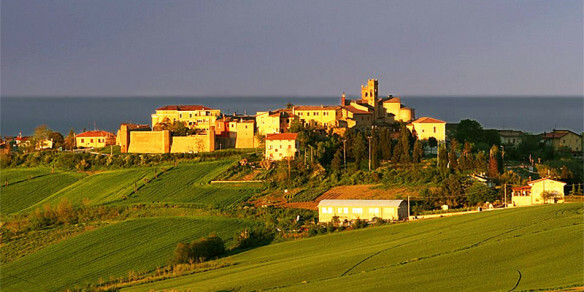 It will take place in Monte Colombo, which seems to be the hillside or more countryside part of the ancient Roman town of Rimini, located in the gorgeous Emilia-Romagna region of Italy on the Adriatic coast. 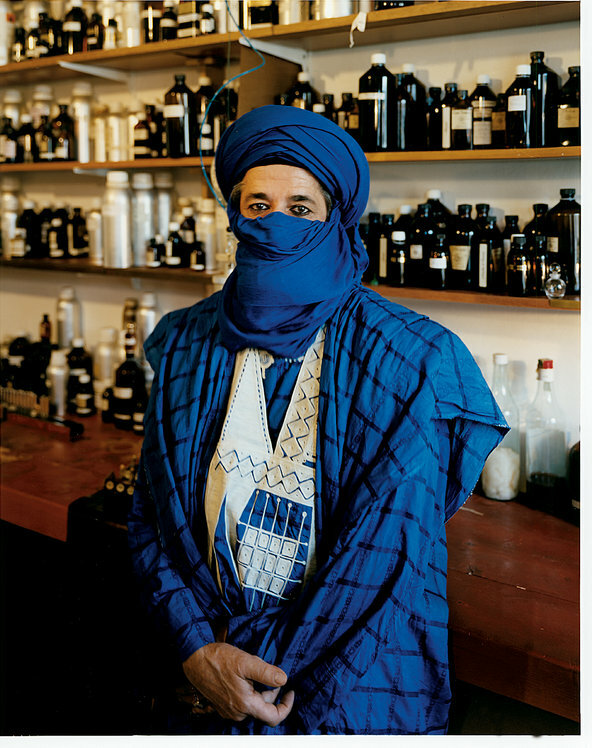 Dominique Dubrana or AbdesSalaam Attar via the NYT. Photo by Domingo Milella. 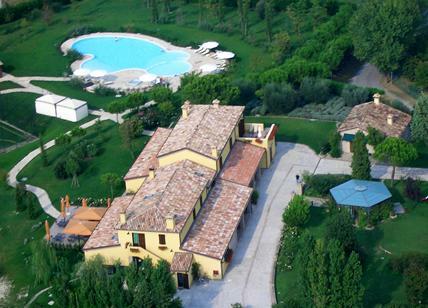 After 6 years, I am returning to teaching with a summer seminar in the hills of Rimini, Italy in June 2015. There will be 6 days of daily classes and workshops [starting on June 10th and going through to the 15th] to teach 12 students both my philosophy of perfumery and my method of making fragrances. All of this will be covered by an accommodation package that includes hotel stay, workshop materials, a kit of value 400 euros and raw essences. 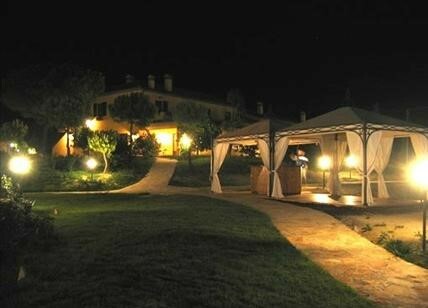 Hotel accommodations at Il Germano Reale. Source: La Via del Profumo press release. Il Germano Reale. Source: La Via del Profumo press release. Germano Reale via their website. It sounds wonderful, doesn’t it? The Emilia-Romagna region is famous for its food (among other things), and the Germano Reale is a 700 year-old farmhouse that looks lovely on the website. 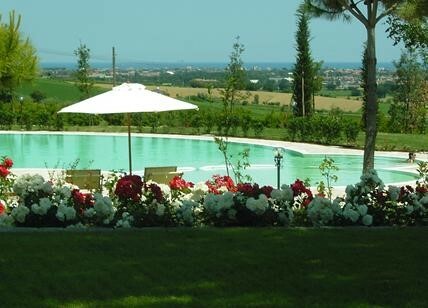 For those of you who want to make a proper summer holiday of it after the course is done, you should check out Rimini‘s famous sandy beaches, the nearby wine-country of Verrucchio, and the elegant Palazzo Viviani Castello di Montegridolfo hotel in the medieval hamlet of Montegridolfo. In short, if you’re interested in a different sort of European getaway or summer holiday, write to La Via del Profumo for pricing and further details. This entry was posted in AbdesSalaam Attar La Via del Profumo, All-Natural Fragrances and tagged AbdesSalaam Attar, courses on perfumery, Dominique Dubrana, Emilia-Romagna region, how to learn about fragrances, How to make your own perfumes, La Via del Profumo, learning perfume distillation, Monte Colombo, Perfume classes, Rimini by Kafkaesque. Bookmark the permalink. It’s outside my financial league, too, but I’m going to see if there is any way I could pull it off since this is the year for my holiday back to Europe anyway. Perhaps His Royal Teutonic Highness will have to give up some of his expensive lifestyle choices. heh. Angela is very curious to know what his Teutonic Highness’s lifestyle choices are, in case she is missing out on something. Heh, the German Prince has expensive health insurance (that is actually better than my own! ), a vast amount of organic fruits and vegetables (celery, apples, pears, oranges, fennel, carrots) on a daily basis, very expensive vegan hard food (prescribed to try to counter his skin allergies), organic vegetable broth, expensive shampoo, and a bad habit of constantly disemboweling or destroying new toys in under 5 minutes. He’s a rather costly Teutonic Overlord, so the slave might have to downgrade his fruits and vegetables to non-organic, and to go easy on his toy collection. 😉 I kid, I kid — His Highness comes before all else in life, including cool perfume classes in Italy. Sounds amazing, wish I could go too! Mais, Ca coute cher, non? Alas, yes, it isn’t cheap. At least, *I* don’t think it is, but it obviously comes down to one’s personal situation and finances. Let’s just say that it is in-line with what you’d expect from a short but *nice* European vacation which includes hotel, a good number of your meals, and supplies. Apparently, a number of people are jumping at the idea and don’t think it’s too costly, so it really depends. This sounds wonderful! Methinks that despite the relaxing, peaceful and bucolic views, the experience will be anything but! I have vacation funds that I can reallocate if it has to come down to a choice 😉 between this and a cruise in August. Thanks for the info my dear. 100 km? And then a bit further to Monte Colombo? Oh dear. So, if 100 km is roughly 60 miles, then the airport is perhaps about 90 minutes away from the farmhouse…. Hm. Transportation is a definite point to consider. Thank you, Michael, for stopping by to provide the details. I appreciate it, as will others, I am sure. The thing may be for people to organise small groups to go together from the airport in a rented car whose expense will be split. That brings up other logistical issues, not to mention the sharing of email addresses so that fellow students could arrange matters between each other, but it could be handled with a bit of effort. Still, it does add a whole other layer of planning to the matter. Oh boy. I am tempted to see if the car service we use at work, which claims to be Global, has a vehicle network there! This is Europe – there is public transportation! Oh, my heart! This looks like such an incredible opportunity. I hope that 15 deserving individuals fill those slots and then use what they learn to fill the world with still more wonderful scent!